First of all, Happy Halloween everyone! Today is just any other day for me. On Friday, I dressed up as Sarah Palin for work, but that really didn’t involve anything except putting on a bump-it and wearing my glasses. Other than that, I haven’t dressed up or gotten a costume. We didn’t go to any Halloween parties or anything. As far as my reading goes, this week was a bit better for me. 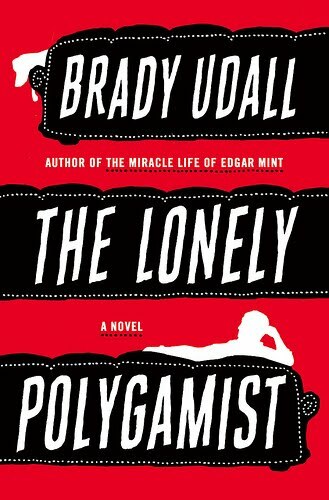 I finished The Lonely Polygamist, by Brady Udall. It took me a week and a half to read, which is long, even for a 600 page book. My book club was supposed to discuss it this month but our meeting was pushed back until November 22, so I don’t know what the reactions to it will be! I also read The Adoration of Jenna Fox, by Mary Pearson. I needed something quick and easy after finishing The Lonely Polygamist, so I picked this one at random of my shelves. Definitely a good choice! I have now moved on to Burning Bright, by Tracy Chevalier. I love Chevalier and this is one of the few books of hers I haven’t yet read. 10 books is definitely good for me, although I admit the number would have been much lower if not for the read-a-thon! I have just been super busy, which is a trend that I fully expect to be carried into November and December. I also wrapped up a challenge this month–RIP V.
Whew–that was a long TSS post, at least for me! I hope everyone enjoys their Sunday! Bad Marie opens with Marie living in her friend Ellen’s chic New York apartment working as a nanny for Ellen’s young daughter Caitlin. In fact, the opening of the book involves Ellen and her husband Benoit coming home after a night out and discovering Marie passed out drunk in the bathtub with Caitlin. Creepy, right? Ellen is of the same mind. She had been kind enough (and dumb enough) to let Marie into her home even though Marie has just been released from prison. She let’s Marie know that she is no longer welcome in her home. What happens from that point on is simply unbelievably ridiculous, in a good way. Without giving too much away (I hope), Marie flees to Europe with Benoit and Caitlin. She cares deeply for Caitlin and has been intent on seducing Benoit from early on, which proves to be an easy feat. I won’t get into the escapades that ensue from there, but the situations Marie puts herself in and the decisions she makes stray further and further from what could be considered realistic. I would say that in most cases, that would irritate me, but in this case I wasn’t bothered by it in the least. I loved seeing what kind of scraps Marie was going to get herself into next. It was fun to read about a character that was always flying by the seat of her pants! 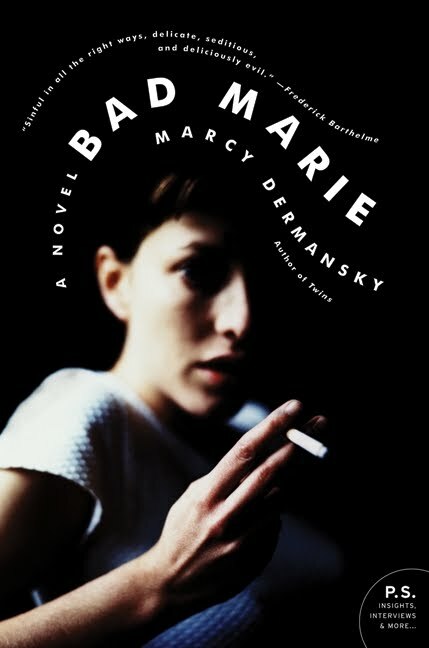 Bad Marie is a gritty novel and Marie is a truly interesting character. It was hard to decide where my loyalties lay. At times I was rooting for Marie, even though her behavior was often reprehensible. I think part of this was because she really was a caring person at heart. The love and affection she felt for Caitlin was palpable and seemed much more real that the love of Ellen and Benoit for their own child. Speaking of Benoit, he was a real douche. I could see why Marie was attracted to him, but really–his true character became evident pretty quickly. Any type of paternal instinct that you might expect from a father was seriously lacking, and I quickly tired of him. I loved the gritty drama that was Bad Marie. Noemie is an exchange student from France living in the US. The plotline is pretty simple and uninvolved. Noemie meets a baker’s daughter, Anna, and attends art school. She also has some odd dreams involving Anna. The text, although very simplified, has some French thrown in, which was a fun touch. However, I know absolutely no French, so I admit to just skimming over it. For those of you that do know even a bit of French, it is definitely a fun touch. I didn’t like this book at all. I read it during the read-a-thon and I was glad to pick up a graphic novel to break up the monotony in the later hours, but I was ready for it to be over as soon as it began. My biggest problem with this book was that it just did not have a cohesive plot. I finished it wondering what the point was, as it seemed like everything was just jumping around. The dream aspect was especially confusing to me and I just didn’t “get it”. With a lot of graphic novels, the text takes a backseat to the images, and up until now I have been appreciative of that, but the text and plotline were so sparse that even the artwork couldn’t save this book for me. So yes, I am sorry to say there really wasn’t much about this book I enjoyed. I can’t believe it is already Sunday again! I haven’t even started my job at Lush yet (I have to go in and fill out my paperwork later on today) but the weeks are flying by anyway. Maybe it’s the fact that Christmas is fast approaching. I have been trying to get my Christmas shopping done but I definitely am nowhere near done. How is everyone else doing on the shopping front? Have you started yet? Are you already finished? My reading month was great at first in regards to how many books I was reading. That quickly stopped last week, as I was stuck on one book. This week was the same for me in the sense that I have been reading only one book, which I haven’t even finished yet–The Lonely Polygamist, by Brady Udall. Thank goodness my book club was canceled Thursday night because I was nowhere close to finishing the book. It’s quite a chunkster at 600 pages but luckily it is very engrossing and readable. I hope to get some reading time in today, but it won’t be much. Anyone have any fun plans? Mia is your typical teenage girl. She lives with her mom and dad and younger brother. She is occupied with school, her boyfriend and her cello, which is her true passion. And then, it all changes (I swear this is how I start off my review for any YA novel!). Mia and her family wake up one morning to a snow day. School is cancelled and they have the whole day ahead of them. They all decide to pile into the car and go visit friends and family. Next thing Mia knows, she is waking up on the side of the road. She finds her parents, gruesomely twisted amidst the wreckage of an accident. The strange thing is, Mia is not physically a part of herself. It is as if her soul and her body have split and she lingers in the hospital as her physical self lingers in a coma. Herein lies the most interesting part of the book . . .
Mia has the choice whether she will live or die. She realizes this almost straight away but she doesn’t make her decision right off. Instead, she watches as the love of her family and friends pours out. Even her family is conflicted–some people urge her to hang on, while others gently tell her that she is free to go. I loved this book. I read it for the read-a-thon and it was the perfect choice. I could not have put it down if I wanted to. The whole idea of will she stay, will she go? really intrigued me and I found myself taking sides. I actually was convinced Mia should choose death because I could not imagine how she could get on with her life after the horrific accident that took her family. I had a few small issues with this book, despite my gushing review. I really disliked Mia’s parents. They didn’t seem “real” to me and I thought they seemed like posers. Like maybe they were trying too hard to be “cool” parents. They didn’t seem like real parents to me. Also, Mia was very into playing the cello and classical music in general. I found that to be really boring and the sections that examined her cello playing and her love for it I found really boring. 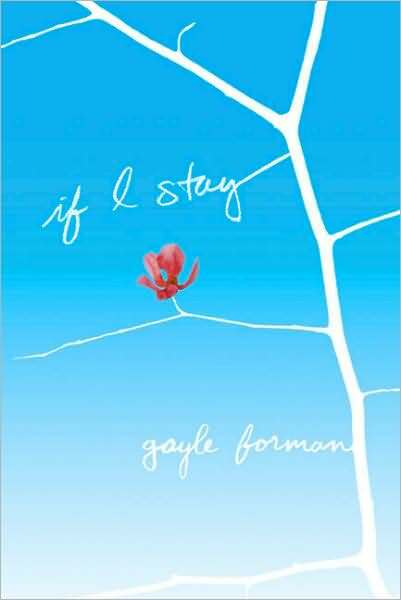 This is an example of YA fiction at its very best. If you haven’t picked it up yet, you definitely should consider it! 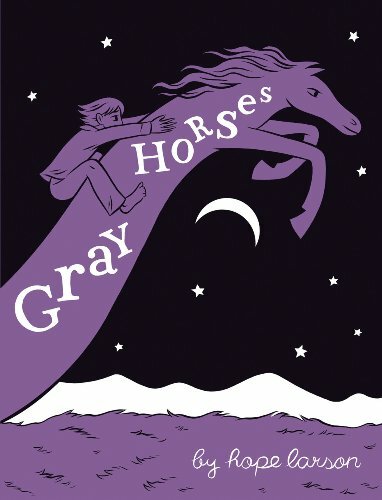 I realized recently that I am a big sucker for books about animals. Specifically, I can’t resist a good cat story. So even though I haven’t read Vicki Myron’s original book about Dewey (I hope to soon! ), I jumped at the chance to read Dewey’s Nine Lives. Vicki Myron met and corresponded with a vast number of people as Dewey’s story became more and more well known. 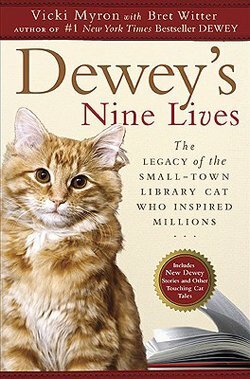 This book is a compilation of cat stories that she was told when communicating with people about their love for Dewey as well as their bond with their own cat. I loved the idea of this compilation. It worked well in execution, with the exception of one issue that irritated me. I felt like Myron tried way to hard to integrate herself and Dewey into every story. It wasn’t necessary at all and it interrupted the fluidity of the individual stories. Other than that small issue, I found this book very enjoyable, and it made me want to share my own story. One of the points Myron made repeatedly was that oftentimes, if you save an animal, they will always know that you are the one responsible for saving them and caring for them, which creates an unbreakable bond. I find that to be true with all my animals, to some extent, but none more than my little girl Fiona. I found Fiona on Memorial Day weekend in 2006. Someone about a block away from my parents summer cottage found a litter of abandoned kittens back behind their house. My sister and I, ever the cat lovers, raced over there straight away to have a peek. I am sure it will come as a surprise to no one that I fell in love straight away, and ended up taking two of the kittens home with me. that I had to bottle feed them and keep them in an enclosed space. I decided on the named Felix and Fiona. Felix I had chosen first. He was the runt–only 2 ounces when I took him to the vet later that week and a little mass of black and white fur. Fiona was sturdier at a staggering 8 ounces (!) and she has always had the most beautiful coat, with shades of brown and red. Felix and Fiona were spunky little things and a great joy to watch. I relished caring for them–having such young kittens was difficult but so rewarding! Unfortunately, at only four weeks old, Felix suddenly got very ill. My vet discovered that he had underdeveloped organs, the result of being the runt of the litter, and that he would undoubtedly die. As anyone who has ever put down a pet knows, it is one of the most difficult things to endure, but I had no choice. I was absolutely crushed at the loss of Felix. 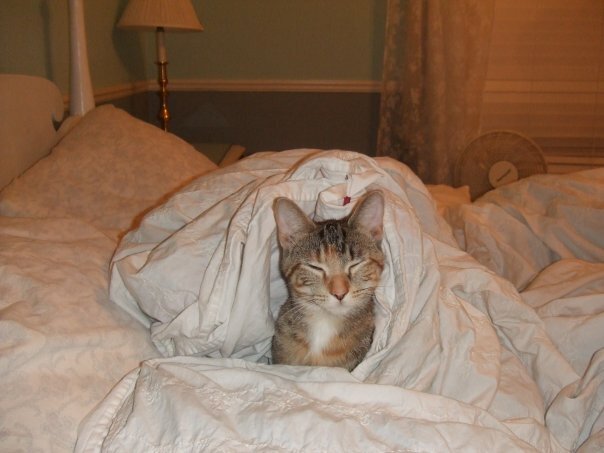 Fifi as a young kitty, cuddled up in bed! Meanwhile, Fiona grew and became very independent! She no longer needed me as much and she had no problem letting me know it! For the first year of her life, she was not an affectionate kitty. I had adopted two more kittens, Milo and Charlie, and while I had done it to keep her company, the antics of her brothers grated on Fiona. To this day she prefers to be on her own, although she will ciddle up with her brothers from time to time. As time has gone on, Fiona’s personality has slowly shifted and sh has transformed into a “mama’s girl”. She is very finicky when it comes to doling out her love, and the only people she will ever show affection for are me and my husband, but me especially. She sleeps on the pillow behind my head every night, often mewling whenever I shift positions, as a request to scratch behind her ears. She loves to sit in the bathroom while I am in the shower or bath. If I am at home, she is often at my side. And I really do believe that she sees me as her mother. She was so little when I found her that she quickly made that determination. In fact, for the first few months of her life, she would try at all costs to latch onto my bottom lip. She became convinced that was her food source, and try as I might to dodge her, she would be foraging and rooting around for me. My cats mean the world to me. My husband never fails to remind me that I am one of those “crazy cat ladies”. I wouldn’t have it any other way! Yesterday night I finished reading Dewey’s Nine Lives, by Vicki Myron. As is always the case with pet memoirs, I was deeply affected by the stories conveyed in this book. Some had me in tears, and they all had me grabbing the closest kitty in the room for a snuggle. I plan on posting my review for this book tomorrow, but in the meantime I wanted to post the follwing Q&A with some of the contributors of the book. Why did Dewey’s story inspire you? Lynda Caira (Cookie Cat): Dewey’s story inspired me because it is so unfathomable to conceive that a cat could change the lives of so many people. It makes me think, if we tried, how could people change each others’ lives? Kristie Graham (Marshmallow): Dewey’s story inspired me throughout his entire life. I have known Vicki since I was 2 years old. … Dewey’s Magic is real. It has opened the door to my heart to make sure people know what they have done for me. Bill Bezanson (Spooky): I wouldn’t say it “inspired” me so much as it touched my soul. I saw a LOT of the feelings Spooky and I shared throughout the story. Barbara Lajiness (Sir Bob Kittens): I have always loved animals– especially cats. So many things about Dewey spoke to me and my own experiences in life. Dewey was rescued, we rescued animals. Vicki only had one child, a daughter; I only had one child, a daughter; and many of those moments during teen years between a daughter and a mother were very similar to my own feelings as a mom of a teenager. Also the effects of poverty and alcoholism on my childhood were all themes I could easily relate to in Dewey. Although I didn’t know it at the time…I would also face my own battle with breast cancer. So as you can see my connection and inspiration to the book really happened on many levels, not just how deeply I can appreciate and relate to that significant bond and relationship with a cat. Kim Knox (Church Cat): I know cats are known for having “nine lives” but I was really impressed by the toughness of that little kitten in the book drop off box. It’s like he knew if he could just hang on, something so much better was coming his way! Vicki Kleuver (Christmas Cat): Dewey’s story inspired me because it is a story of Life. Not only Dewey’s amazing life, but also Vicki Myron’s life. Life can really throw us into the toilet or into a book drop on a frigid winter night, yet there is a spark, or a will to live that ignites within us to survive and thrive through the adversity of life. There were many similarities to the story of my “CC,” or Christmas Cat. … I was also amazed at the similarities between Vicki Myron’s life story and my own. What do you hope readers will take away from your story? Barbara Lajiness (Sir Bob Kittens): That every one and everything, no matter how quirky or unusual, no matter if they are animal or human, has its place, meaning and value in the world. That we need to slow down, relax and realize how important all of us animals and humans, and even moments are. We all may be different shaped and colored pieces of a puzzle, but you need us all to make a complete picture. Lynda Caira (Cookie Cat): What I hope that people see in my Cookie’s story is that she was in a way, a life safer to me! I have had cats before and after Cookie, but Cookie just ingratiated herself into my life in a way that most people haven’t even been able to do! Kristie Graham (Marshmallow): I hope readers take away from my story that relationships are important. I think [my connection with my cat Marshmallow] was so valuable. He was always there. He was a symbol of my childhood. He was part of my identity. Bill Bezanson (Spooky): If you relax the little guards we put up each day and let an animal just be itself, it will show you love and affection without boundaries. As humans we put up small (and even large) walls when dealing with each other. But an animal doesn’t have an ego. It just knows whether it likes you or not. Carol Ann Riggs (Church Cat): Church Cat was “Special” to a lot of the members of the Camden United Methodist Church. She was a rescue cat and that made us happy too! Kim Knox (Church Cat): You don’t always know why God puts someone or “somepet” into your life and we shouldn’t take something like that for granted. I would also like readers to come explore Alaska, the land of my people. It is a great land, enormous with cultural history, diversity, opportunity, adventure, and tranquility. As your story and all the stories in Dewey’s Nine Lives show, the bond between humans and cats can be very special. Why do you think this is? Barbara Lajiness (Sir Bob Kittens): I love all animals, but I really think cats have complicated personalities that create more complicated relationships with their owners. I have often heard that cats do not have owners, they have staff, which I think kind of sums up the playing field we are all on when building that bond with our feline friends. Bill Bezanson (Spooky): I don’t think it’s any different between a human and any animal. In Spooky’s story there’s a story about Pierre, my raccoon. It shows the amount of love we shared. I’ve had foxes, skunks, deer, even opossums demonstrate love toward me. There were times in my life when I thought I’d never see real love in a person. But I found it in nature. I think that it would be a real healing point for veterans suffering the ugliness of PTSD to work with rescued animals and feel what that kind of love is like. Lynda Caira (Cookie Cat): I think it depends on the cat and the person, and if they came into each others’ lives at the right time. I’ve had cats I’ve taken care of, and cats (strays) who I have felt that I HAD to take care of. My Cookie was the only cat who took care of me! 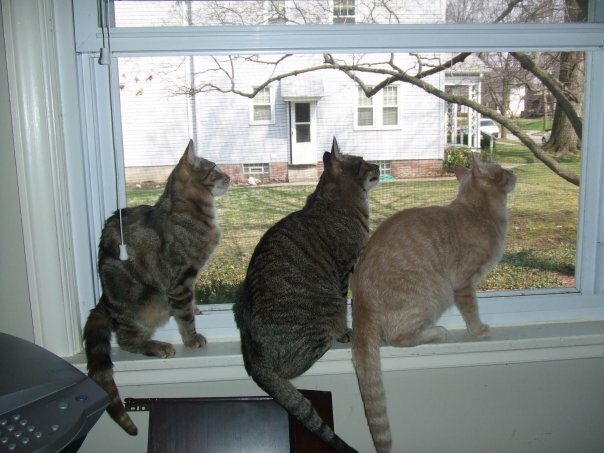 Carol Ann Riggs (Church Cat): Animals can become members of your family just like humans. Church Cat became a beloved member of our family when we brought her home with us. Kim Knox (Church Cat): I have had a number of cats in my life and I don’t think any two were ever alike! There is just something in their personality that clicks with your personality and next thing you know you’re in love. Vicki Kleuver (Christmas Cat): As I said to Vicki Myron several times, I believe God brings these little critters into our life so we can rescue them, while they help to rescue us too. Whether it’s a cat or a dog or another animal, there can be a strong bond. Cats have very unique personalities. I particularly enjoy cats that are independent, like me. What’s the most surprising or unexpected thing you learned from your cat? Bill Bezanson (Spooky): Unrequited love. And I’m still learning and trying to lower my walls like my animals and really love again. Lynda Caira (Cookie Cat): The most surprising thing I learned about Cookie was that she completely killed the stereotypical idea of how aloof cats can be. She had an actual personality! She treated people exactly the way they treated her! Another surprise was how for a small little cat that she was, she was more ferocious than a lion in her protection of me! If she thought someone was upsetting me or hurtling me, they had better watch out! Kristie Graham (Marshmallow): The most unexpected thing I learned from Marshmallow is that he would leave such a legacy. I really didn’t acknowledge the impact he made on my life and the power he would have on my future. When I told [my acquaintances] that I participated in [Dewey’s Nine Lives], it surprised me how many people knew how close we were and how “different” our relationship was. Barbara Lajiness (Sir Bob Kittens): [I learned] that love comes in many forms and to enjoy every one. Sir Bob Kittens is not, nor will he ever be, the beloved lap cat Smokey from my childhood. He doesn’t sit on laps, and you can only tell he is purring if you are lucky enough to place a gentle finger on his throat at just the right moment. But he has his moments where he will look up at us with this look of happiness/love and very slowly, in unison, open and close his eyes; you can just tell he is trying to let us know he cares about us. And on those nights when he is lonely or nervous, he will come and snooze against my chest, face-to-face. It may sound funny, but I really believe that is his way of telling us he cares. Kim Knox (Church Cat): Church Cat seemed very lost and somewhat needy when she turned up at the church office. I felt like she needed to be taken care of. This was true, but what was so surprising was how street savvy she was. She always looked both ways and made sure it was safe before she crossed! She may not have needed me nearly as much as I thought. Mary Nan Evans (The Cats of Sanibel Island): [I was surprised to learn] that so many cats get along, and not a fight between them! Vicki Kleuver (Christmas Cat): The most surprising thing I learned from CC is that I like cats! CC was loyal, loving, affectionate, playful. He was adventurous–it was that sense of adventure that landed him in the toilet that Christmas eve night, and it was his sense of adventure that cost him his life. Some people, some animals, become afraid when they have experienced trauma. Not my CC. Not me either. I like that. While it broke my heart that CC died at such a young age, I respect that he died while doing something he loved; it takes a bit of the sting out of our loss. Regardless if we’re a cat or a humanoid, isn’t life what we make of it? Do you currently have a cat in your life? Barbara Lajiness (Sir Bob Kittens): Yes Mister Kittens is still alive and well. Even though he attacks our ankles when we walk up the steps, and runs at us on his hind legs, sideways down the hall, he is a special spirit that is a very important part of my life, and my family’s. I have often told people that he is the one member of the household that no matter what, when he walks in a room, everyone says “Mister Kittens!” (Similar to when Norm would walk into the Cheers bar.) I am sure he thinks he is famous. Lynda Caira (Cookie Cat): My Cookie died at the age of 19 , on July 31, 2009. I am blessed with another kitty named Chloe who is now Sweet 16, and I do have a wonderful little girl named Lucy, who was born in my garden two years ago, and has lived there ever since! Vicki Kleuver (Christmas Cat): Sadly, right now I don’t have any cats. Two years ago we adopted an older dog from the Kodiak Animal Shelter and right now, due to frequent travel, he is our only pet. It is our hope to adopt from the animal shelter this winter either a cat or another dog. Kristie Graham (Marshmallow): I do not have a cat right now. I have a Red Fox Lab. My husband is a dog person. But I am a goal setter—I have a bucket list. Owning a cat is on the list. Kim Knox (Church Cat): After we lost Church Cat’s son ChiChi we were catless for a couple of years. We now have two orange tabbies named Marmalade (2 yrs) and Macaroon (3 months). Both are house cats and help make our house a home. Please check back tomorrow for my review of Dewey’s Nine Lives!